Drunk Driver Collision – Can I Sue the Bar? We often are asked by clients if they can sue a bar, restaurant, or business for over-serving a person that caused a drunk driving related accident. South Carolina does not have a statutory law known as a “dram stop statute” like many states have enacted governing civil liability for alcohol sales. Rather, through common law, the South Carolina Supreme Court has established legal precedent that allows injured victims to pursue recovery from alcohol-related accidents by creating a duty of care based on statutory laws that govern the sale of alcohol. For example, S.C. Code Ann. §61-4-580(1) prohibits the sale of alcohol persons under the age of 21 and S.C. Code Ann. § 61-4-580(2) prohibits the sale of the sale alcohol to an intoxicated person. Most lawsuits filed against bars, taverns, and restaurants assert a theory of negligence that relate to selling alcohol to intoxicated persons. These lawsuits are based on the fact that it is illegal to sell alcohol to a patron if a server knows, or should have known, that the patron is intoxicated. Likewise, a convenience store may be liable if it sells beer to someone underage, and that underage person gets behind the wheel after drinking, causing a serious collision resulting in injury or death. While South Carolina does not have a specific “dram shop” statute, in July 2017, a new law came into effect in that requires all bars and restaurants that serve alcohol past 5:00 p.m. to carry at least $1 million ($1,000,000) in liquor liability insurance. This statute amends current state alcohol licensing and permit laws by noting that businesses seeking a new permit or to renew an existing one will be affected by the law. The important consideration of this new law is to allow victims to recover due to liability caused by the wrongful serving, consumption, or use of alcoholic beverages. This is especially true because many drunk drivers do not have enough insurance coverage or personal assets that are collectable to pay for the serious harm. Often times, the only way to fully recover for the harm of a drunk driver is to bring a legal claim against the businesses that profit and promote this illegal behavior. The Goings Law Firm is known in the legal community for successfully winning lawsuits against bars, restaurants, convenience stores, and drinking establishments. We seek justice against the businesses that profit and promote intoxicated behavior. If you or a family member have been injured or killed by a drunk driver in an automobile accident, call us to explore a legal action against the businesses that enabled that wrongful conduct. Contacting us today is important so that we can begin our investigation and gather critical evidence to help establish liability before it gets lost or destroyed. Contact the attorneys at the Goings Law Firm by calling us at (803) 350-9230 or through our contact page immediately for a FREE consultation. Authorities have reported that 75-year-old Roger Wayne Johnson of Cayce, South Carolina was killed in a car crash in Lexington on Thursday night. They believe Nicole Marie Wilson, the driver of the other vehicle involved in the accident, was driving while drunk and failed to stop at a red light, causing her vehicle to crash into Johnson’s. Wilson has been arrested and charged. The personal injury attorneys at the Goings Law Firm, LLC have experience in bringing claims against drunk drivers and the bars who over-serve them. If you or a loved one have suffered injury or even wrongful death at the hands of a drunk driver, the Goings Law Firm, LLC may be able to help. Contact us at (803) 350-9230. Kelvin Washington, an elected member of the Richland County Council, was arrested on Saturday, February 27 for driving under the influence. The charges were made in connection with a Hopkins, South Carolina auto accident. The accident occurred when Councilman Washington rear-ended another car at the corner of Bluff Road and Martin Luther King Boulevard in Hopkins, S.C. The South Carolina Highway Patrol reported that the accident happened around 7:45 P.M.
WIS News reports that Councilman Washington’s vehicle was traveling at a high rate of speed when the accident occurred. After Councilman Washington hit the car, witnesses report the victim’s vehicle slammed into a utility pole. The driver of the vehicle was a 22-year-old male, who was taken to the hospital in critical condition. He is currently still in ICU. There was also a passenger in the car. Troopers report the passenger is still in the hospital with minor injuries. This is also not Councilman Washington’s 1st encounter with the law. He recently just pled guilty in a Richland County Court to three counts of tax fraud. To read more about this story, click here. When public officials are elected, we trust them to uphold and follow the laws as regular citizens. When a public official violates that trust by driving drunk, we believe they should be held accountable to the fullest extent that the law allows. If you or a loved one has been injured or killed as the result of a drunk driver in South Carolina, then the Goings Law Firm, LLC is here for you. Call our Columbia office at (803) 350-9230. While it is not clear in the facts of this case, sometimes in a drunk driving accident, the driver has been drinking at a public restaurant or bar. Restaurants, bars, nightclubs, and other establishments have a legal responsibility not to serve alcohol to patrons who may be intoxicated. In order to hold these businesses responsible, South Carolina has dram shop or social host liability statutes in place to allow the victims of drunk drivers to hold drinking establishments responsible for their negligence. Nevertheless, far too many bars and restaurants continue to over-serve patrons. Contact the Columbia Legal Team at the Goings Law Firm, LLC Today! Though nothing can undo the pain that you have already faced in a drunk driving accident, with the help of the Columbia legal team at the Goings Law Firm, LLC, LLC, you may be able to secure compensation that will help you move forward. Our drunk driving accidents lawyers are ready to hear about your specific situation today. Contact our Columbia offices at (803) 350-9230. A driver in Rock Hill was recently arrested after authorities noticed him driving above the speed limit and displaying signs of distraction or intoxication. Information coming from the Rock Hill Police Department said several charges were filed against Jason Dale Naulder, including driving while under the influence (DUI), after he was arrested on January 9. Naulder, who was driving a pickup, was tailed by a police vehicle on Interstate 77 after he was seen driving 80 miles per hour in a 60 mile per hour zone. The officer also witnessed the driver swerving on the road and almost strike a concrete divider and another vehicle. Upon stopping Naulder, the officer noticed a strong smell of alcohol as well as an unrestrained 2-year-old girl inside his vehicle. Naulder was taken into custody and a bail of $2,000 was imposed to him. Fortunately, no one suffered injuries in this recent DUI incident; however, the same cannot be said for far too many drivers. If you have been harmed by a drunk driver in Columbia, the attorneys at the Goings Law Firm, LLC want to help you fight for compensation. We will work to hold the negligent individual who caused your accident responsible for his o her bad choices. Call (803) 350-9230 now to learn more. The driver responsible for the accident that left three people dead was recently charged with several counts of felony intoxicated driving, News 13 reported on November 10. Anderson Police Lieutenant Mike Aikens stated that on November 8 the vehicle of 24-year-old Riley Christopher McDermott went to the opposite lane and slammed to an oncoming vehicle containing five people. Driver Cory Simmonds and passenger Amber Perkins reportedly died in the crash scene while Jessica Ann Roberts, another passenger, died in the hospital, the deputy coroner stated. The two other passengers were listed in critical condition. McDermott, who was intoxicated before the accident, and his passenger were also treated. People are always devastated after an unfortunate event that kills a loved one in a drunk driving accident. If you are in such a situation, the lawyers of Goings Law Firm, LLC may lessen your burden by pursuing damage claims against irresponsible drivers. Call us today at (803) 350-9230 to find out how we may help you. On October 29 around 5:00 in the morning, Vincent Omear Thomas, 33, was killed when another car drove off of the road and slammed into two other cars. The car that ran off the road was driven by Kyeon Glover, 19, who was charged with DUI involving death. The accident happened near McLeod Hospital at East Cheves and South Church Streets in Florence, S.C. 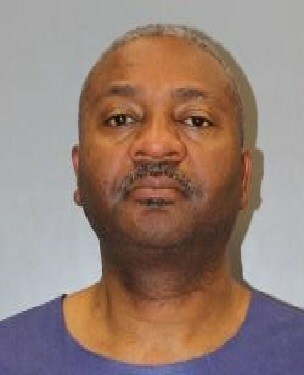 Authorities report that when the accident occurred, Glover was in a high-speed chase with police because Glover fled the scene of a domestic dispute. In addition to his felony DUI charge, Glover was charged with simple possession of marijuana, failure to stop for blue lights, burglary first degree, assault and battery first degree, assault and battery second degree, possession of a weapon in a violent crime and discharging of a firearm in city limits. The victim, Thomas has served in the S.C. National Guard since 1998, including one tour of duty in Afghanistan. This is truly a tragic incident, and our deepest sympathies and condolences go out to all friends and family members affected by this accident. While the law imposes criminal penalties against utterly reckless and avoidable acts like drinking and driving, there are sometimes civil remedies available to victims and their families. Though nothing can undo the pain that you have already faced in a drunk driving accident, with the help of the Columbia legal team at the Goings Law Firm, LLC, you may be able to secure compensation that will help you move forward. Our drunk driving accidents lawyers are ready to handle your specific situation today. Call our Columbia offices at (803) 350-9230. On September 29, actresses Leah Remini and Jennifer Lopez were hit by a drunk driver while driving along Pacific Coast Highway in California. The two celebrities were stopped at a red light when a small pick-up truck hit them from behind and then sped off. They called police and provided a description of the car. Authorities located and apprehend the driver shortly after the incident. The driver of the pick-up truck was under the influence and arrested for DUI and hit-and-run. Lopez and Remini had two children with them in the back seat of the car. Thankfully, in this case, no one was injured. Yet, oftentimes injuries resulting from accidents caused by drunk drivers can be very severe and oftentimes can even result in wrongful death. Further, this case is an example that anyone can be the victim of an accident caused by a drunk driver. If you have been injured in an auto accident, our legal team at the Goings Law Firm, LLC, believes that you may be owed financial compensation. To find out how we may be able to help you take action in order to get the compensation you are seeking, call (803) 350-9230 today.